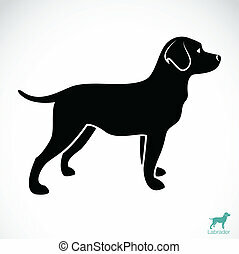 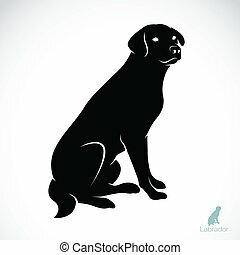 Black labrador silhouettes.. Group of black labrador silhouettes, over white and isolated for many usages. 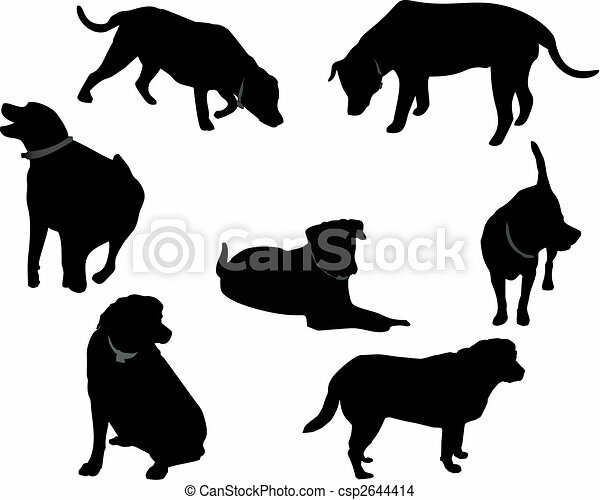 Group of Black Labrador silhouettes, over white and isolated for many usages. 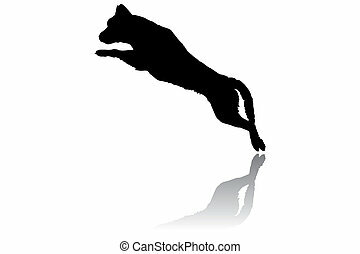 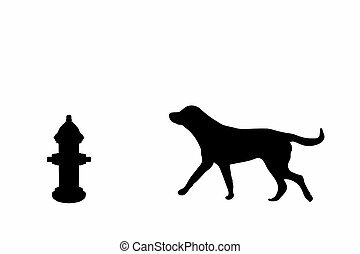 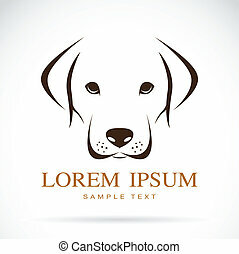 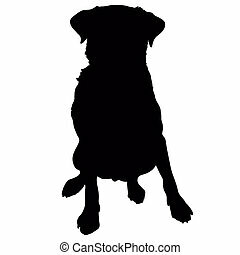 Silhouette of a dog and fire hydrant isolated on a white background. 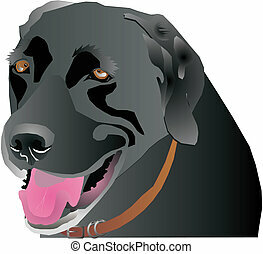 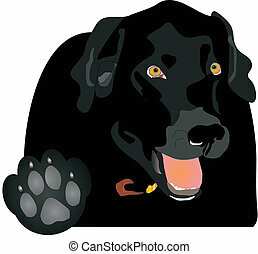 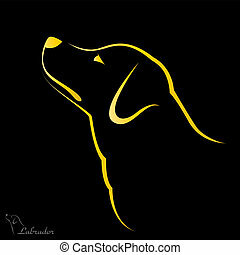 Black Labrador head profile, over white and isolated for many usages. 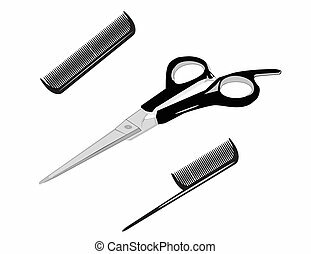 Hair Stylist or Barbers, hair cutting tools. 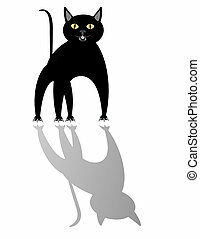 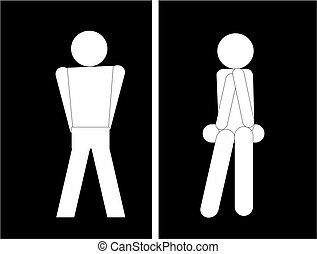 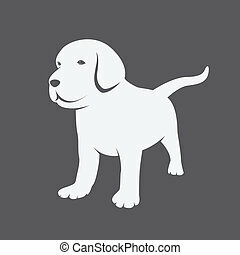 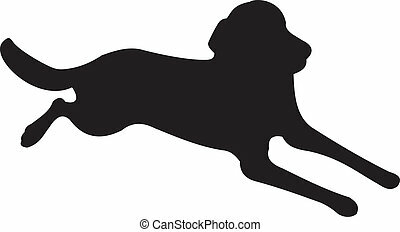 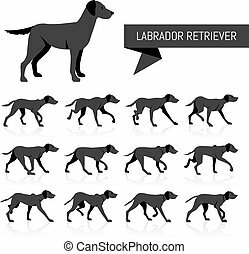 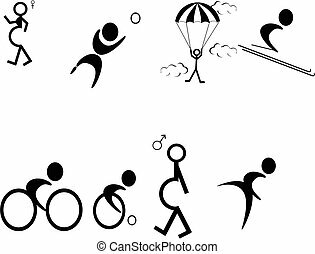 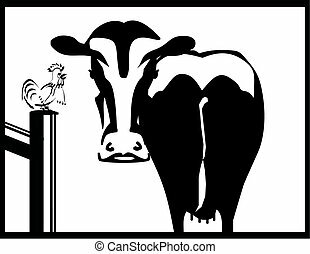 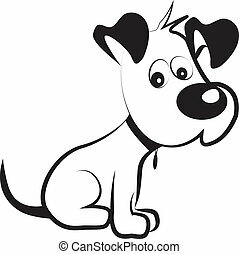 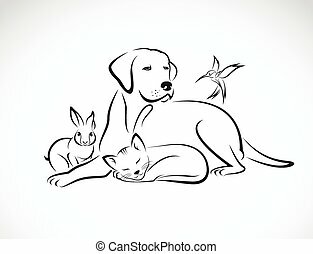 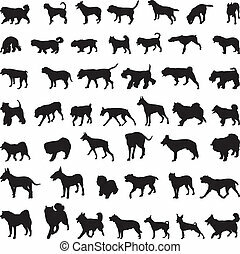 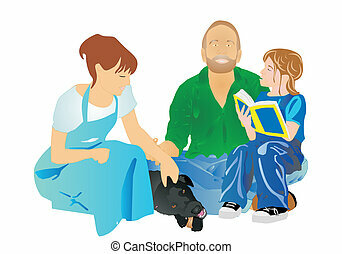 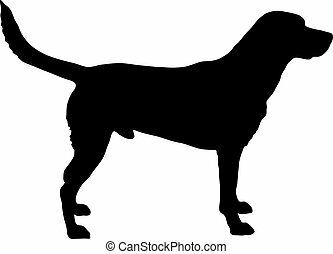 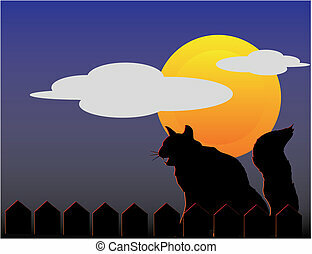 Isolated over white illustrations of combs, and scissors..
Black Labrador holding up the paw, saying \"Talk to the Paw!\" Play on words..
Silhouettes of Pictograms of different events and lifestyles. 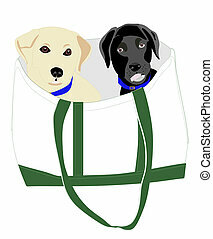 Black and yellow pups in a reusable carry Bag. 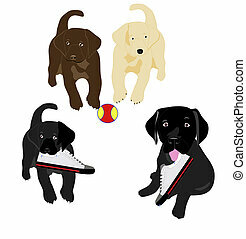 Black and chocolate lab puppies playing like they do. 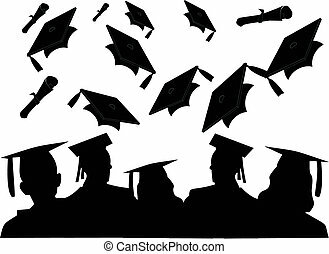 Silhouettes of graduates, chatting and the hat toss.. celebration. 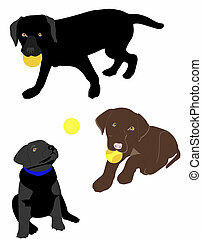 Black, Yellow, and chocolate lab puppies playing like they do. 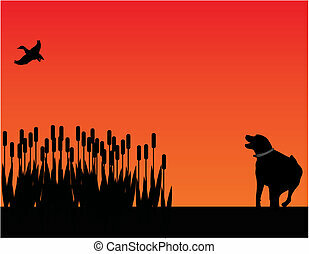 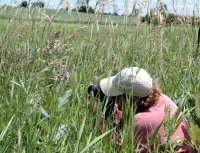 Labrador retriever scarring out a duck from the bull rushes. 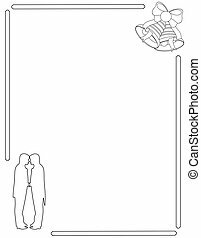 On an announcement or memo board, two men tying the knot, in a black and white motif.